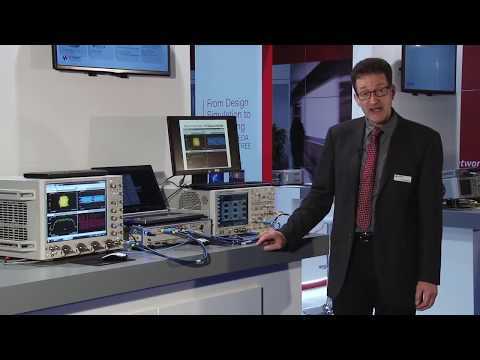 The Keysight (formerly Agilent) M8196A Arbitrary Waveform Generator (AWG) comes with a very high sample rate and a wide bandwidth with up to four synchronized channels operating simultaneously on one module. The M8196A is well-suited to test different optical systems from discrete components like optical power amplifiers to more complex dual polarization systems like optical modulators or optical receivers. With up to 4 channels per 1-slot AXIe module, each running at up to 92 G Samples/sec with 32 GHz of analog bandwidth, it allows dual polarization testing in a small form factor and the generation of complex signals with multiple modulation schemes (PAM-4,PAM-8, QPSK, nQAM) up to an outstanding speed of 64 GBaud and beyond. It is also well-suited to address multi-level/multi-channel interfaces using any standard or custom data format, for example high-speed backplane connections using PAM-4 or PAM-8 format, as well as technologies in the mobile application space. TRS-RenTelco offers the Keysight (formerly Agilent) M8196A Arbitrary Waveform Generator for rent or lease with 24/7 customer support. Our experienced team of metrologists and technicians calibrate each equipment to stringent standards in our 50 GHz ANSI/NCSL Z540-1 compliant laboratory. Contact us and request a quote today.